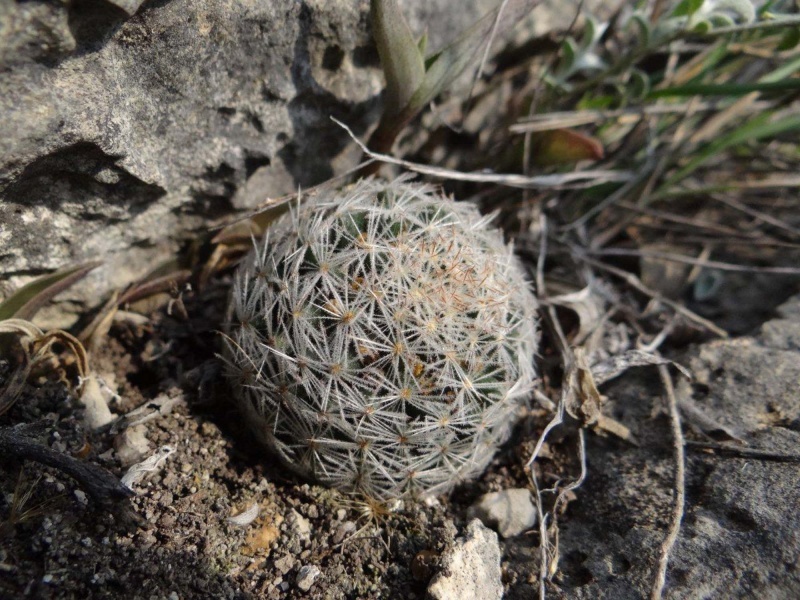 In the AfM journal 2/2016, Wolfgang Kruger publishes Mammillaria rischeri as a new species. This plant has been well known in collections for many years as Mammillaria picta Lau 1063. 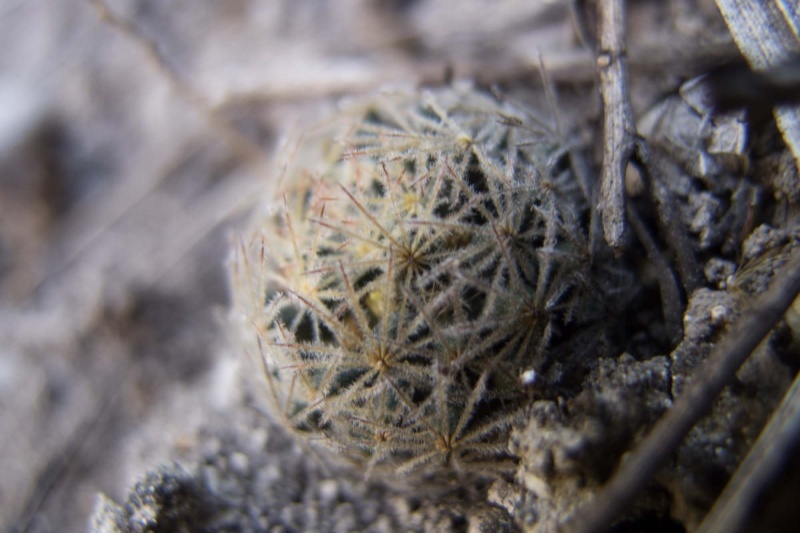 It is believed to be related to both Mammillaria picta and Mammillaria pilispina, though both Pilbeam and Hunt have put this plant as a form of M. picta ssp. viereckii, and both mention the Lau 1063 form as being a distinctive one. The author states that it is distinct on the basis of significant visual differences and the results of isoenzyme analysis. The significant visual differences appear to be the lack of central spines and the degree of pubescence. Regarding isoenzyme analysis, according to Wikipaedia "Isozymes are usually the result of gene duplication, but can also arise from polyploidisation or nucleic acid hybridization. Over evolutionary time, if the function of the new variant remains identical to the original, then it is likely that one or the other will be lost as mutation accumulate, resulting in a pseudogene. However, if the mutations do not immediately prevent the enzyme from functioning, but instead modify either its function, or its pattern of gene expression, then the two variants may both be favoured by natural selection and become specialised to different functions." We know that polyploidy occurs in a number of Mammillaria species, notably Mammillaria prolifera. Whether that is the reason in this case remains unclear. At best, iIn most cases of polyploidy, if there is sufficient difference visually and with enough geographic separation, the deviating plant from the ploidy of the type is regarded as a subspecies. Until more is known about the ploidy of Lau 1063, it is best to hold fire on giving out new species names, in my personal view. 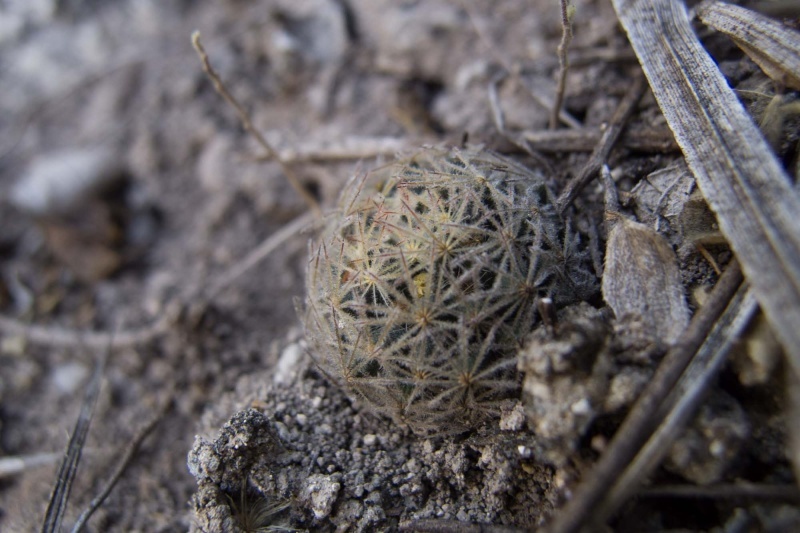 Its habitat is described as East of Aramberri, Nuevo Leon, and for interest below are some photos of a plant matching the description of M. picta aff. Lau 1063, which I found in 2012, and which clearly show the pubescent spines. I suspect this is the same as the newly described species. I make no confirmation as to whether these plants are this proposed new species. No doubt others will offer views, here or elsewhere.